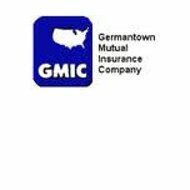 This review of Germantown Health Insurance Company will discuss the company known as Germantown Mutual Insurance Company, or GMIC. It is a company based out of Wisconsin and has been around since 1854. It started as a Farmers Mutual company and was the first one of its kind in Wisconsin. Currently, Germantown Mutual Insurance Company offers a number of different insurance policies, but health insurance is not one of them. If you would like to search for health insurance right now, all you need to do is enter your zip code and you will be able to compare health insurance quotes for a variety of companies in your area. Germantown Insurance products are available in a few different states through independent agencies. There are many offices in the state of Wisconsin, some in Utah, and one in St. Cloud, Minnesota. There is an agent locator on the website if you would like to see if there is an agent in your area. Although Germantown Mutual Insurance Company does not offer health insurance plans, it does offer a variety of other insurance products. There are policies available for both individuals and business owners. Germantown offers auto insurance including both liability and comprehensive coverage. It also offers policies for renters, homeowners, and condominium owners. For those who are not qualified for homeowners insurance, Germantown also offers a dwelling program. This insures dwelling and rental properties. Germantown started as an insurance company for farmers and it continues to support them through their farmowners program. This policy is a coverage contract that is flexible in order to meet the needs of the modern farmer today. It can either be tailored for special coverage needs or come as a complete package. Germantown Mutual Insurance Company strives to process and resolve claims in a timely manner. There are a few ways you can submit a claim to Germantown. There is a place on the website where you can submit a claim online. There is a place to submit a claim for auto glass and another one for all other claims. You can also fax in your claim to 1-262-623-3040 or call your agent directly. If you submit your claim online or through fax, a claims representative will contact you and walk you through the next steps. If you speak with your agent, he or she will guide you. You will be given instructions on how to proceed, a claims reference number, and a name of a claims representative who will be your contact through the process. The insurance industry can be an exciting area for a career. Jobs in the industry can vary from customer service, to claims, to actuaries, to an agent, and more. If you are outgoing, a self-starter, intelligent, and energetic, the insurance business may be the perfect fit for you. These mergers have helped Germantown Mutual grow steadily in both surplus and assets. This has been due to new business lines and acquisitions. To search for health insurance right now, all you need to do is fill in your zip code in the space provided and you will be able to check out health insurance rates for multiple companies.